Since its debut 24 years ago, Andrew Lloyd Webber’s “The Phantom of the Opera” has been Broadway’s longest-running and highest-grossing production ever. Since 1988, over 12 and a half million people have seen the productions in New York City. And that number does not include audiences who’ve seen the eight productions on tour around the world. 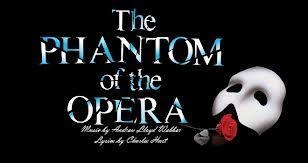 For three years, “Phantom” has been available for high school productions and only recently has it been available, on a limited basis, for universities. The UK Opera Theatre is among the groups deemed to have the resources and track record to stage the popular and elaborate show. John Hingsbergen reports that the production opens next weekend at the Lexington Opera House, including the UK Orchestra under the direction of John Nardolillo. In 2010, Chely Wright became the first country music star to come out as gay. Wright’s three-year journey to her coming out day is the subject of a new documentary by filmmakers Bobbie Berleffi and Beverly Kopf. 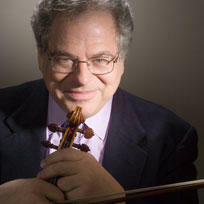 Israeli-born Itzhak Perlman is known as one of the preeminent violinists of the 20th and early 21st centuries. Following a 2011 performance with the University of Kentucky Symphony, he returns this Sunday to open the orchestra’s 2012-13 season.